Imagine losing control of your car and waking up in the hospital paralyzed from the neck down. This is the story of Kristopher Boesen, who experienced a life-changing moment where his car spiraled out of control on a slippy road surface, slamming into a tree and lamp post. Doctors warned Kris’s parents that he might never be able to function from the neck down again. Kris was offered the opportunity to go through a potentially life-changing procedure involving stem cells, which ‘have the capability to repair injured nervous tissue through replacement of damaged cells‘ (1). The experimental procedure did not guarantee any restoration to Kris’s paralysis, but to him, the risk was worth taking. 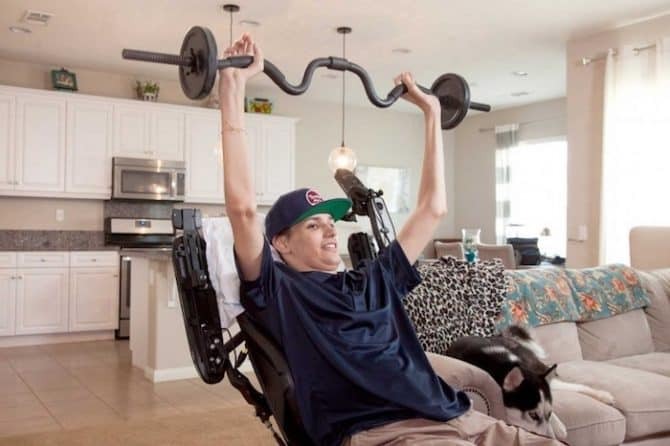 After a mere 3 weeks of therapy, Kris started showing signs of improvement, and within 2 months he could answer the phone, write his name and operate a wheelchair. He had regained significant improvement in his motor functions; which are the transmissions of messages from the brain to muscle groups to create movement (3). Kris recovered two spinal chord levels which made a huge difference in his movement abilities. It was the difference between minimal movement or none at all and being able to function on his own. Kris regained the incredibly important aspect of independence. Stem cell research is ongoing and can be used in many ways other than paralysis; from Parkinson’s and diabetes to cancer (4). To find the latest news regarding stem cell research check this website out.